Today Apple pushed out an Update for its Apple TV 2G. The new iOS released is iOS 4.3 with the build number (8F455). Till now no official changelog has been released by Apple yet, but as noted by macstories the series of Tweets from John Grubber of Daring Fire Ball’s revealed some new features. John Grubber says that the new update allows you to stream the TV shows that you have already purchased from iTunes. 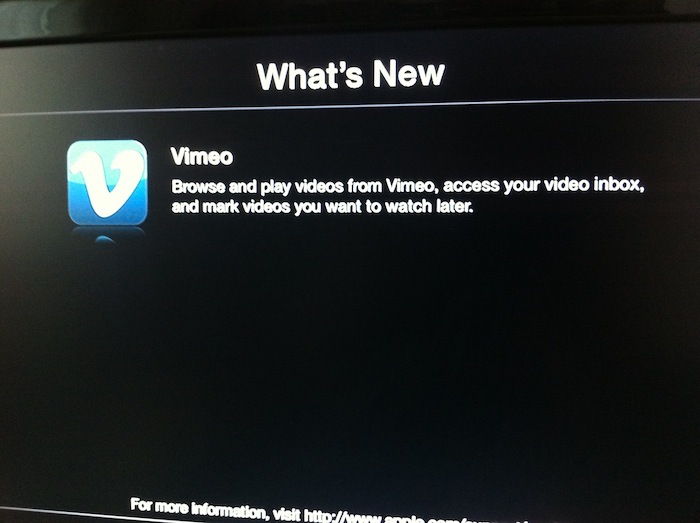 The update has also bring the Vimeo Player integration for Apple TV 2G. Few months back at WWDC Apple introduced a new feature in iTunes which lets you Re-Download the App,Music,TV Shows and Movies which you already have purchased via Purchase Tab in iTunes. So you can re download your Music and TV Shows and Movies directly on to your Apple TV 2G. As far as this update is concerned with new features, it is only limited to United States for the Time Being. Not released for All over the world. 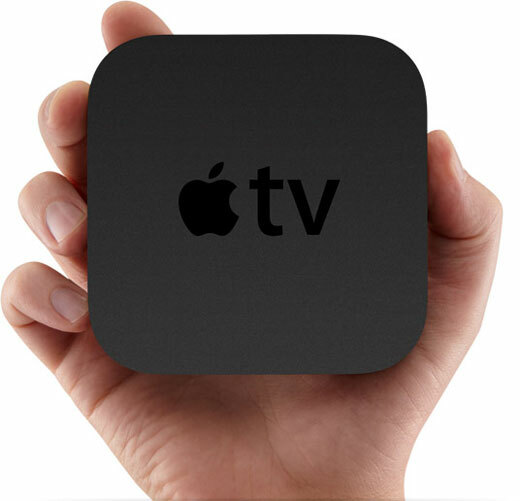 If you are willing to Update your Apple TV 2G, so you can Download the latest build from here.